A very casual, comfortable and. most of all versatile piece is denim skirt. Bear in mind, that wearing this kind of skirt you will also be, in trend. Yes, because in the right combo is a fantastic piece of clothing. 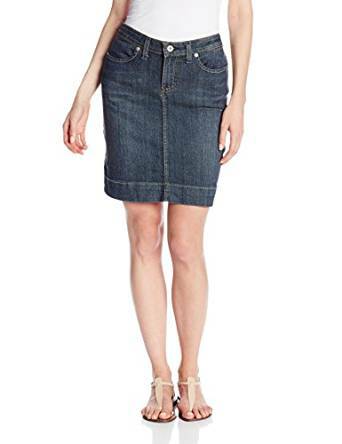 No matter which is your daily activity, a denim skirt is perfect. 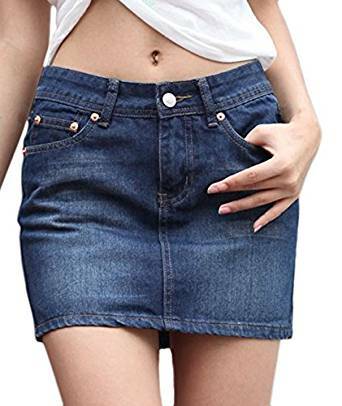 For example if you love to dress very stylish and elegant, your first thought regarding denim skirt could be that is totally inappropriate. Well, this is wrong. For a super stylish look, try a shirt and a pair of stiletto. – the length of the skirt to be long as at least medium. – avoid sport sneakers when you wear denim skirts. So, wear it only with ballet shoes, boots and, of course stilettos. Denim skirt, is a feminine piece. Of course, it is also important the combination you are going to choose. We are talking about a versatile piece. 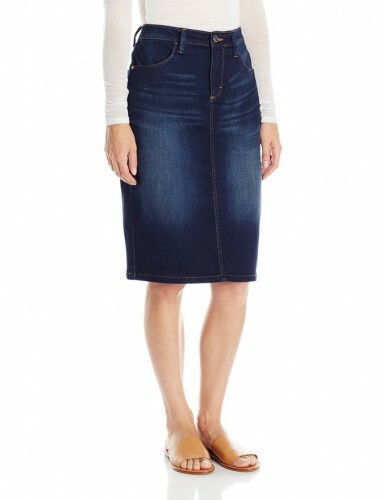 Indeed, no matter the event you attend (almost actually…) you can use in your outfit combo, a denim skirt. For example, if you go for shopping, this skirt look very nice, and, moreover, is very comfortable. Comfort is very important, especially if you enjoy to dress relaxed. 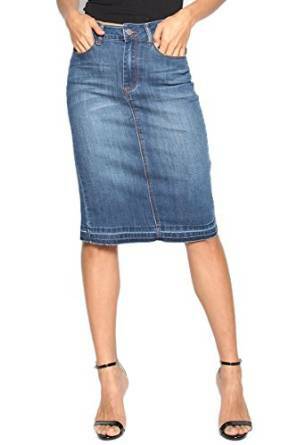 So, a denim skirt is a magic choice. Bear in mind that, a denim skirt is an amazing piece which is very easy to match. Of course, depends on you but, this skirt is a great choice. A casual or a smart casual outfit could be rapidly obtained. Denim will never go out of style. And denim skirt is in the same situation. Looks very nice, and this is a major reason to be an important presence in any women’s wardrobe.